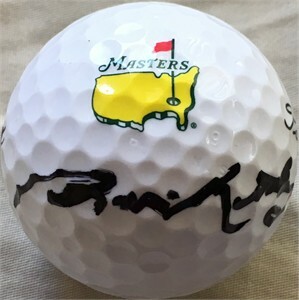 Masters logo Titleist golf ball autographed in black Sharpie by Jim Nantz, the voice of the Masters on CBS since 1989. Obtained in person, with certificate of authenticity from AutographsForSale.com. ONLY ONE AVAILABLE FOR SALE.